It's the cool bus! 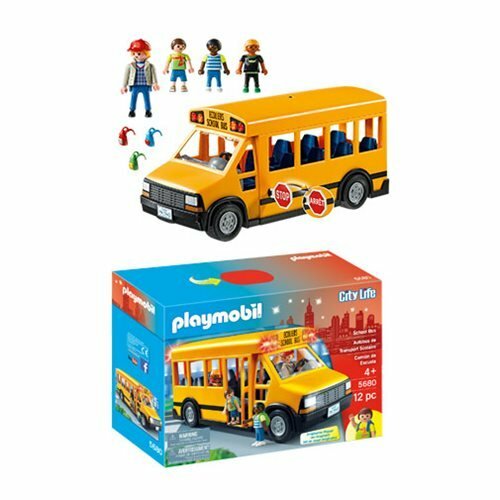 Playmobil's School Bus includes 3 students and a bus driver for maximum education needs. You can seat several figures inside (extra figures sold separately), and the door opens just like a real bus. Tear the roof off to add or remove figures, or just to give the kids a shot at enjoying the sun. Great for kids ages 4 and up.